The first time I heard “Boys and Girls” by Blur, I was incensed. It was 1994. Duran Duran had its first bonafide hit album since its peak in the 1980s. It would be another decade before the lifetime achievement awards would get handed out. Despite a cocaine problem, John Taylor was still going strong. So who was this upstart band blatantly ripping off a John Taylor bass line? The synth work barely rises to the level of Human League, let alone Nick Rhodes. And this whiny singer with the heavy middle-class accent is no Simon Le Bon. To borrow the word of Elizabeth Bennett — delivered with such aplomb by Jennifer Ehle a year later — insufferable! I eventually caved in some time in the late ’90s, and I gave Parklife the old college try. Everyone was correct — “Boys and Girls” was the anomaly. The rest of the album was quite English, very eclectic and remarkably tuneful. Problem was, my tastes were shifting away from Duran Duran, and rock music at the time was in some serious doldrums. I liked Parklife, but it was too arch for my taste. So out of the collection, it went. The title track of the album re-entered my life in 2014 when Twitter users would reply to comedian Russell Brand with the hashtag #PARKLIFE whenever he went on a rant. 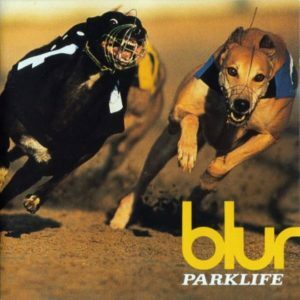 If I had to nominate a favorite track from the album, it would probably be “Parklife”. That made me crave to hear the song again, an impulse on which I wouldn’t act till the Friends of the Seattle Public Library held its annual book sale in 2016. I found a copy of Parklife selling for $1. I’m not sure how 20 years could make such a difference in perspective. All the dopamine triggers the album should have hit in 1996 struck with more accuracy in 2016. It was similar to how I experienced Different Trains by Steve Reich. The first time I heard the work, it bored me to sleep. 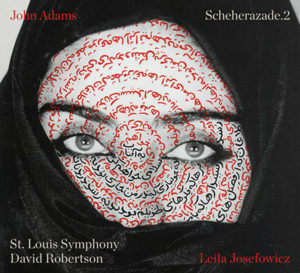 Four years of classical music training later, I listened to it again and was deeply moved. Did something similar happen with Parklife? I admit my exposure to English culture the first time I encountered the album was limited to Duran Duran and a smattering of Ivory Merchant and Kenneth Branagh films. Since then, I went through a heavy Celtic phase with Enya and Clannad. I’ve read a number of novels that would appear on an English literature class syllabus. And, of course, there’s Downton Abbey, Sherlock and a bunch of documentaries spelling out the inequities of the British class system. The archness that eluded me? I get it. And now that everyone is copying John Taylor, I’ve mellowed out considerably over the slinky bass line in “Boys and Girls.” Heck, I’d like to hear Nigel play it himself one day. When, exactly, is the birthday of Musicwhore.org? If I were to be technical about it, Musicwhore.org was born on Sept. 21, 2000, when I registered the domain name. I had already been writing music reviews online for at least a year before hand, and some of those entries can be found in the earliest archive. This review of Freedy Johnson’s Blue Days, Black Nights dates back to Aug. 1, 1999. 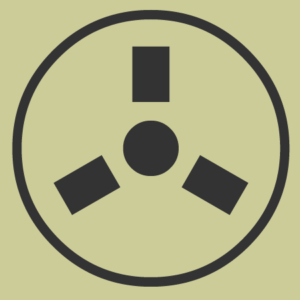 But it was published when the site was called The Soloist’s Notebook, and that date isn’t very accurate because that entry in particular was written before systems such as Movable Type and WordPress came into widespread use. In that case, Musicwhore.org didn’t so much launch as it did re-brand. I’m inclined to consider the domain registration date as the official starting point for the site, since no other record seems more definitive. That means this site is 16 years old. The web itself is only 25 years old. I’ve been building web pages since 1995. Let’s break down those stats. I’ve been working on the web for 21 out the web’s 25 years, or 84 percent of the web’s life time. I’ve been writing for this site for roughly 16 of those 21 years, or 76 percent of my web career. Because I haven’t taken down any of the old versions of the site, I’ve got 16 years bad and half-baked opinions out there for search engines to crawl and for readers to ignore. It’s probably time to take a look back at some of that stuff to see how badly off-the-mark I was. I might do so in addition to the weekly entries. P.S. Happy Birthday, Musicwhore.org! You’re not old enough to be drafted, but you may get your driver’s permit just yet! Sept. 11, 2001 was a Tuesday. I went to the record store. Sept. 11, 2001 was not a great day by any measure, but for me personally, 2001 was turning out to be a pretty awful year. The end of August 2001 put me in the ranks of the unemployed, one of many casualties of the dot-com bust. So for the week preceding Sept. 11, I would get up and … well, that’s it. I didn’t really have anywhere to go, and since no one was hiring in my sector of the tech industry, looking for work was alternately pointless and fruitless. I remember watching a lot of Law & Order during those lean days. A lot of Law & Order. Cocco released a retrospective on Sept. 4, after having announced she was retiring from her music career. That news didn’t improve my mood. In contrast, Do As Infinity’s third album, DEEP FOREST, would arrive the following week. 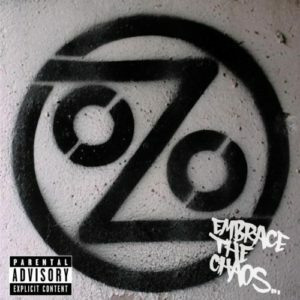 In between those releases was Embrace the Chaos, the second album by Ozomatli. The band’s self-titled debut was a favorite among me and my friends, and seeing them live a few months before made that anticipation more pronounced. I planned to pick up the album when Waterloo Records opened that day. I lived in New York City for two semesters on an inter-college exchange program from 1992 to 1993. I was running errands for my record label internship when I heard murmurs about the World Trade Center being attacked. A car bomb exploded in the parking garage with enough force to collapse a number of levels and to disrupt subway service. That was February. By May, the towers had reopened, allowing me to play tourist before I moved back to Honolulu. So I pretty much was in denial about the severity of the 2001 attack. New York is a resilient city, I said to myself. The Towers would be OK. I switched on my VCR and watched a rerun of Star Trek: Voyager instead. After a few minutes, my subconscious finally parsed the implications of the report I saw on TV — it wasn’t just a garage bomb. The towers had fallen by the time I stopped the tape. Broadcast news, of course, replayed the video of the collapse on repeat. I’m not sure when I decided to switch away from the news reports to the banality of daytime cable programming. At 10 a.m., I went to the record store to pick up the Ozomatli album. The Waterloo Records TVs, which usually played videos, was tuned into the news. Since the system was connected to a cheap antenna, the picture was fuzzy. Yeah, it was pretty absurd — big terrorist attack on the US, and I’m shopping for music. The other customers in the store were probably thinking the same thing. But we also acknowledged that life — for us — had to move forward. Going to the record store was a bit of normalcy on which I had to cling. It turned out the album didn’t really appeal to me. My tastes had already shifted drastically to Japanese indie rock, and the album itself felt like a classic sophomore slump. The events of the day did little to improve my perception of the album. As my unemployment stretched the following nine months, Embrace the Chaos would get traded for cash. I stopped following Ozomatli after that.